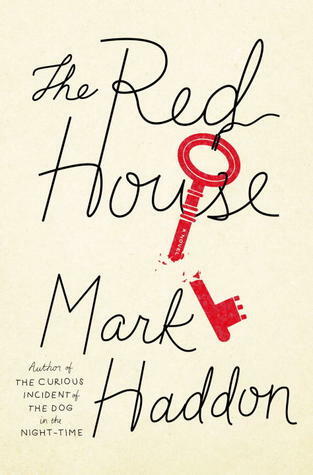 Although I wasn’t a huge fan of The Curious Incident, I loved Mark Haddon’s second adult novel, A Spot of Bother. I think he is brilliant at writing the dynamics of family, the mixture of love, resentment, competition, annoyance and friendship that comes with having parents and siblings. While A Spot of Bother was quite comedic, and very moving, in its exploration of the breakdown of a parent and its effect on his wife and children, The Red House is a much darker take on family dynamics. But it’s nonetheless gripping and beautifully written. An estranged brother and sister, Angela and Richard, go on holidays together in rural Wales with their respective families after the death of their mother, and the story unfolds over a week staying in The Red House. The younger characters come across as the most interesting, particularly the 16 year-old self-serving, calculating bully Melissa, and catastrophically confused Jesus-freak Daisy, who is the same age. The relationship that develops between the two, who have only met each other for the first time is much more the excruciating heart of this book than the one between Angela and Richard. Whereas A Spot of Bother ended with a sense of resolution, by the time the book ends, the two families go their separate ways and few conclusions have been come to, except maybe for Daisy who has come to a moment of self-realisation. Hovering over this book is the imagined ghost of Angela’s stillborn first child, Karen, and she makes for a genuinely creepy presence, even if she ends up being the glue that just may hold this disparate group of people together. A fine read, full of wonderful literary tricks and quirks, but I’m a sucker for resolution, so it left me feeling a little frustrated. But then again, family is like that. The relationships go on, and while there may be moments of clarity, there is rarely resolution.